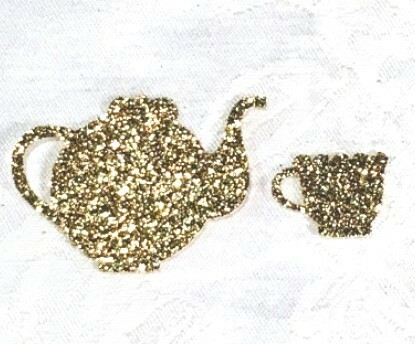 Add some pizzaz to your tables by decorating them with our Teapot and Teacup Glitter Confetti. Each order contains 100 pieces of each design (200 total). The teapot measures .75" by 1.25" and the charming teacup .25" by .5" Please allow us up to 5 business days to fulfill your order; add ship time from the Gulf Coast.